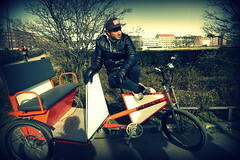 The latest target for Copenhagen City Hall's anti-cycling militia is the city's pedicabs. 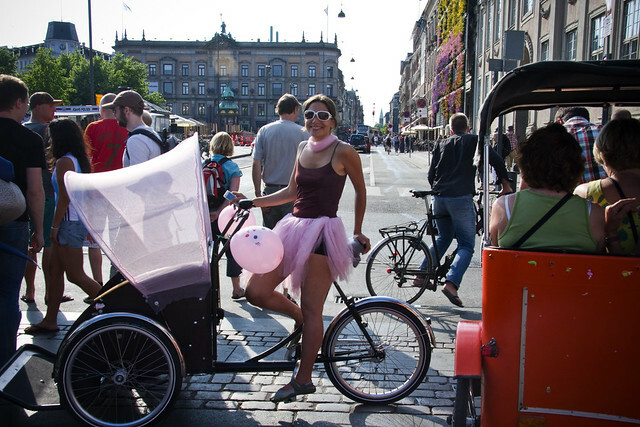 Instead of embracing a transport form that doesn't pollute but rather creates jobs and adds an extra feature to the tourism experience in Copenhagen, City Hall is just going to make some laws and regulate them. Restricting a historical and tradtional feature on the Copenhagen cityscape. 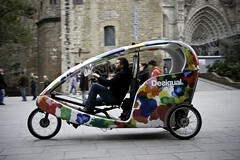 As it is now, pedicabs can gather where the customers are and earn a living based on the market. At times, in the peak months, there are a few too many parked together in certain busy areas. I can't see that this is a problem. It creates life on the streets. It's not like they're blocking the entrance to a hospital or anything. Nevermind that. Pull out the regulation machinery. 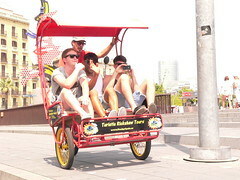 From May 2013, the pedicabs will only be allowed to use a number of permanent taxi ranks set up for them. They won't be allowed to actively search for customers, although customers will be allowed to hail them as they pass. 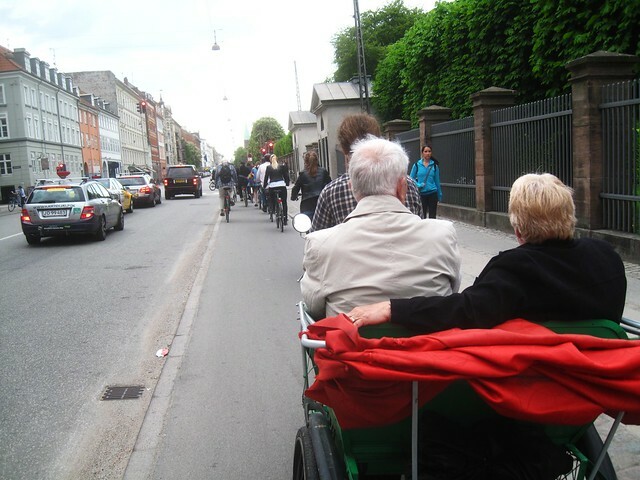 Here's my Dad and his friend visiting Copenhagen last year. 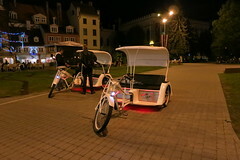 Hopping into a pedicab and following them on my own bike was the perfect way for them to get from A to B and to enjoy the ride. 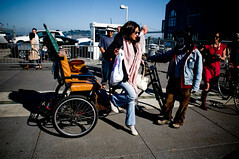 I know many of the pedicab riders. They're all pleasant and charming people and I've never seen them hassling passersby for business. 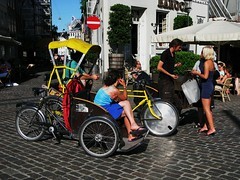 Maybe if Copenhagen joined the 21st Century and implemented 30 km/h zones like so many other cities, the pedicabs could be allowed to operate in the car lanes and replace the Mercedes taxis that storm through our streets. 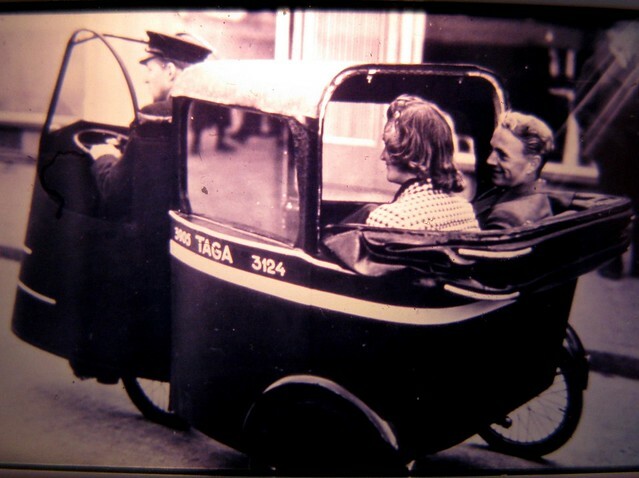 Perhaps the inner city should only be pedicab territory and they could deliver customers to fossil fuel-driven taxis on the perimeter of the city centre. That's just one idea fired from the hip. Off the top of my head. But apparently thinking new is not something Copenhagen City Hall is capable of doing at the moment. Easier to just regulate than embrace. 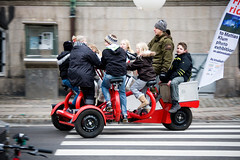 The City's Mayor in charge of Traffic and Environment - Ayfer Baykal - was almost gleeful about the chance to regulate, "We'll tackle the situation where we can so that the pedicabs can be spread out more in the city and not just lump together on Strøget. 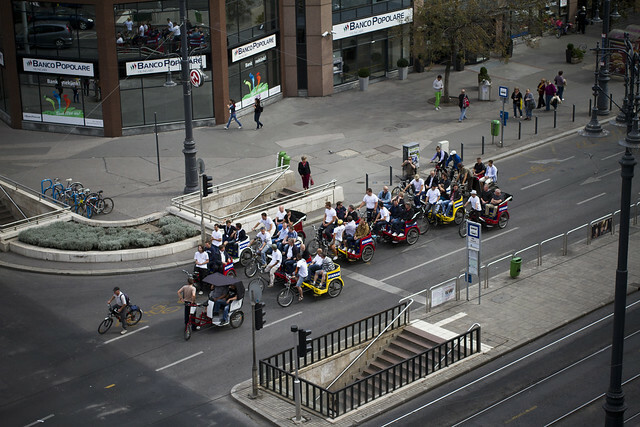 I will also encourage the national government to regulate on this issue, so that we can demand things like statutory insurance, the safety of the pedicabs and the rider's competence." This from a Mayor who was spotted in her chaffeur-driven car being ferried less than a kilometre through the city centre to have lunch. And back again. 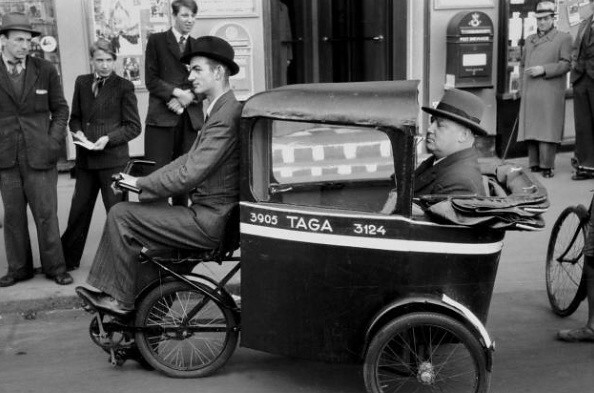 An A to B that would have been quicker - and more intelligent - on a bicycle. 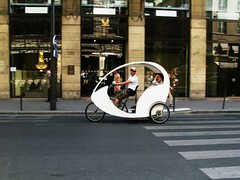 Or perhaps even a pedicab. While we can discuss this issue and some of the finer points, it is just another anti-cycling measure in a long line of anti-cycling measures coming out of City Hall. There is a veritable witchhunt in Copenhagen at the moment - the likes of which have not been seen in decades. 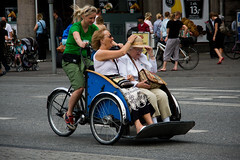 Stories like this only fuel the fire and contribute the increasingly negative branding of cycling in Copenhagen - in the media and in the public perception. 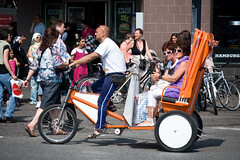 Pedicabs are a main feature in cities around the world these days. Most cities don't seem to have a problem with them. Above is a shot I took in Budapest in September.